Get a clearance price on an AeroGarden from Walmart right now! 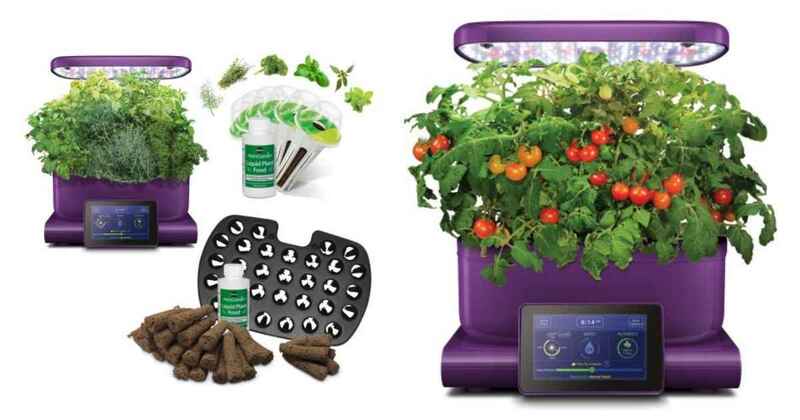 They’re offering the AeroGarden Harvest Touch (in Eggplant color) for $98.99 (regularly $114.91). You can also choose between other colors for $99.99. This garden allows you to grow fresh herbs right in your kitchen. It includes an LED grow light, seed pods, and plant food. It also includes a bonus seed starting system that allows you to start 31 seedlings indoors. This price is available for a limited time. Shipping is FREE.